This Primitive Star is very Large and will add a touch of whimsy to any Fall Scene; indoor or out! 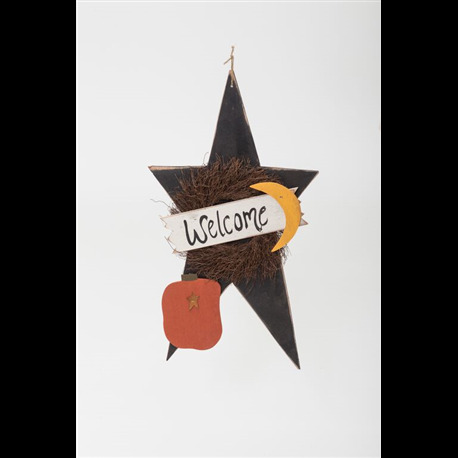 It features a hand painted WELCOME sign in front of a small Fall wreath with a primitive pumpkin and moon accents! Add rustic charm to your home this holiday season with this handmade, primitive Extra Large Welcome Star. Perfect for your Living Room or Front Porch. Crafted by Pennsylvania Amish.